What if there was a way you could get some extra help around the house all while building your preschooler's self-esteem and sense of responsibility? There is -- simple household chores. 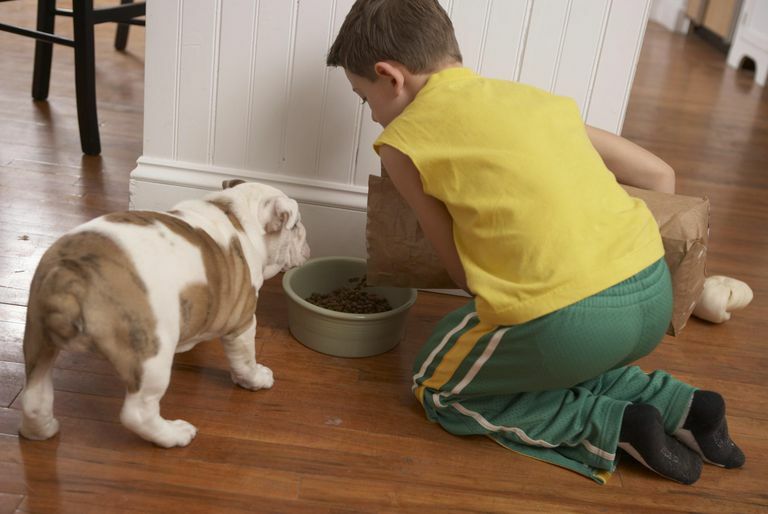 By assigning your kids chores like feeding pets and sweeping the floor, you are sending them an important message -- that they are a contributing member of the family. Here's why chores aren't really a chore for your child and the best ways to assign them. Giving your child chores to do has a number of benefits, not only to your household but to their personal development. When kids do chores, they sense that they are contributing something important to the family. After your preschooler sets the table and then everyone sits down to eat, she can make the connection that she played a significant role in the mealtime preparation. When he sorts out the socks and then daddy wears a pair, your child learns that his helping is important. As your child learns to be responsible and take pride in her work by doing chores, they will soon become routine. Helping out around the house won't be something they dread, but something they enjoy doing -- something you'll appreciate as they get older and are able to do more. Start off small. It's easy for a little one to get overwhelmed when faced with a playroom or bedroom with toys strewn all over the place. They often don't know where to start and consequently, end up giving up, throwing a tantrum or whining about it. Instead of saying, "Clean up this room," give your child some specific directions -- "Please put away all your cars." Once that task is finished, move on to something else. "Great job! Now it's time to pick up the crayons." When coming up with a list of potential jobs for your little one, remember simple is key. Young children tend to have short attention spans so you need to find chores that are easy for them to complete where they won't get bored. Give your child something above her ability and she's likely to feel disappointed and frustrated. But if she's able to do the job well, chances are she'll want to do more. If at all possible, at least in the beginning or if the job is a big one like cleaning up her room, help your preschooler with her assigned task. Above all else, your child wants to spend time with you, and working with another person will help the work go faster. As you clean up, talk about why what you are doing is necessary -- "We need to feed the dog so she'll grow strong and be healthy." A good way to help your little one keep track of her daily chores is to create a chart detailing what her jobs are. If your little one can't read yet, use pictures instead -- if you want her to water the garden, use a picture of a watering can or a hose. After each job is completed, give her some kind of reward -- stickers on the chart or beans or buttons in a jar that can be redeemed for a prize when full. Some parents like to offer an allowance which also is something to consider although young children don't quite understand the concept of money yet. No matter how you choose to acknowledge your child's hard work, make sure there is a lot of praise involved -- hugs and kisses are worth millions to your little one.